For a long time, AX stood in line behind other products in the EMC portfolio, patiently waiting for updates, improvements, and enhancements. All the while, the workhorse that is AX performed consistently and reliably. Under EMC’s management AX never made it to the front of the development line. Now owned by OpenText, a new day is dawning for AX! We are pleased to see AX receiving priority in development cycles and a true roadmap for future enhancements from OpenText. If you haven’t seen AX’s new makeover, you’re going to be shocked when you do. 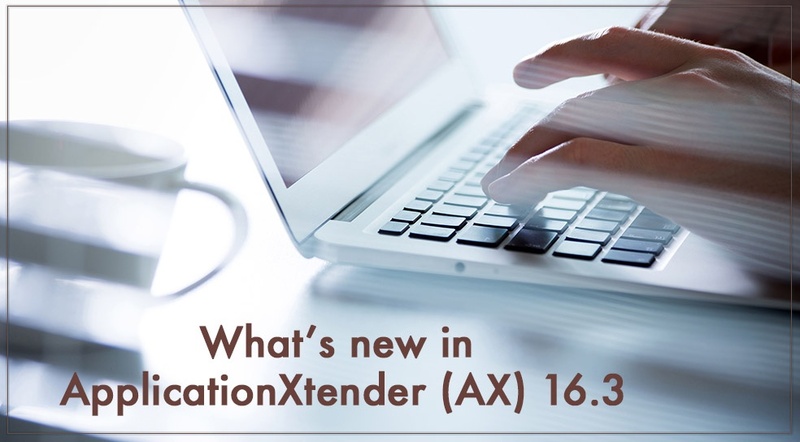 The new AX 16.3 OCR engine decreases processing time when compared to the performance of AX 7. AX16.3 also halves processing time for small documents and decreasing the time by 20% for files greater than 400 pages. Note: the performance testing is now more comprehensive, so we do not have comparable data points for AX 7 and AX 16.3. We do know that for key rendering and access measurables AX 8.1 is about 20% better than AX 7, so these performance enhancements will be similar for AX 7 to AX 16.3. As you can see, a lot has been done to improve AX! AX is now faster and stronger than ever and still provides the reliability and stability your company has counted on for so long. If you are ready to discuss your options for upgrading AX or just want to get a look at the beautiful new look, let us know!